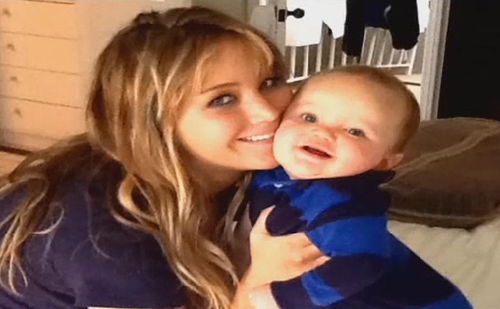 Jennifer with her nephew. . Wallpaper and background images in the Jennifer Lawrence club tagged: jennifer lawrence jennifer 2013 photo lawrence actress the hunger games personal photos.